Tzadikim, I have a Question. Black Shadow behind surrounding the letters, But letters are still clearly readable. Is there any problem? It's a shame, though: looks like a superb Ksav. 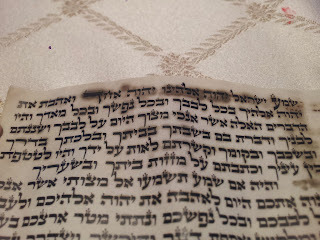 do you mean its a shame that a superb ksav mezuzah came to this condition? It's minor water damage but still 100% kosher. It's a pity the owner didn't take better care of such a nice mezuzah. 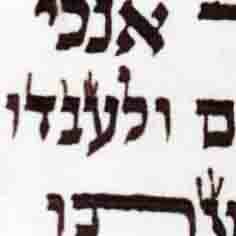 The spot inside the reish makes it look like a hei at first glance, is that not a problem? 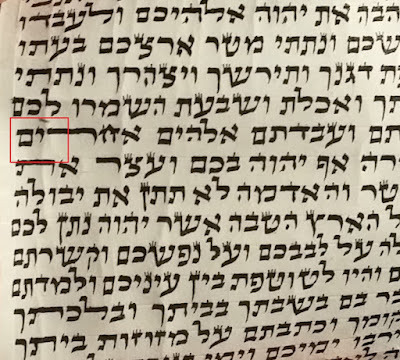 The spot in the Reish could very well be an issue but I can't tell from this image. 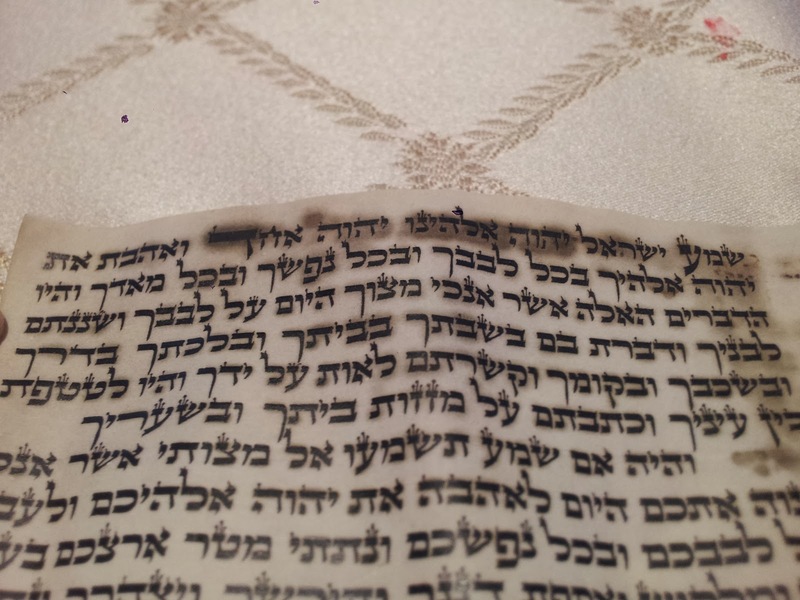 Many of the cases meant for all weather use do not properly protect the mezuzah and water/moisture find their way in so the owner may have thought his mezuzah was sufficiently protected. From my experience the Israel made white cases with the rubber plug is the best option. 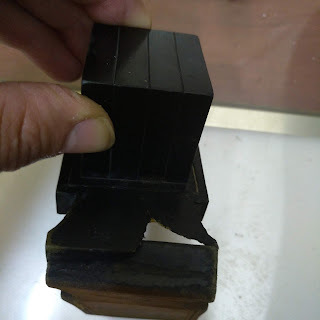 The klaf can be rolled loosely, the plug comes off easily for easy access to the mezuzah when it is time for checking and there is a small, indirect hole that allows for flow of air to prevent moisture buildup while making it very difficult for rain to get inside.